The fifth pillar of Islam is Hajj, a pilgrimage to the holy city of Mecca that every able-bodied and financially capable Muslim is supposed to make at least once in their lifetime. But just like Islam’s fourth pillar — fasting during the month of Ramadan — there is a prescribed time for Hajj on the Islamic calendar. This year’s Hajj will be from September 9th through September 14th. During the rest of the year, Muslims can visit Mecca and perform some of the same rituals that are performed during the Hajj, but that is often referred to as an optional “minor pilgrimage” called Umrah. 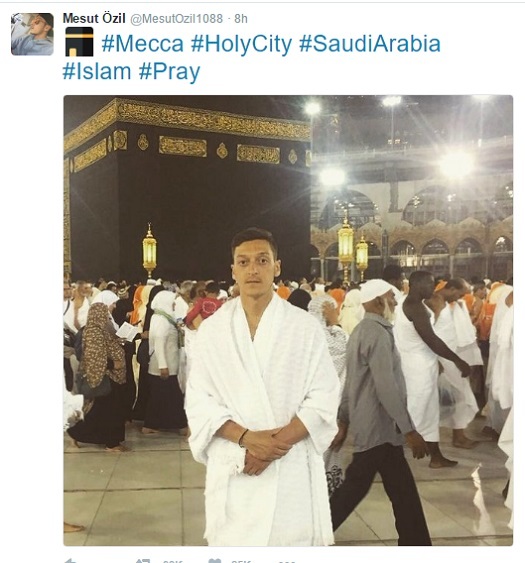 After his season ended with Arsenal of England’s Premier League, international soccer star Mesut Ozil traveled to Mecca recently to make the Umrah pilgrimage. Mecca is Ozil’s final stop on a brief tour of the Middle East that included a visit to Dubai and a charity soccer match in Jordan to benefit Syrian refugees. 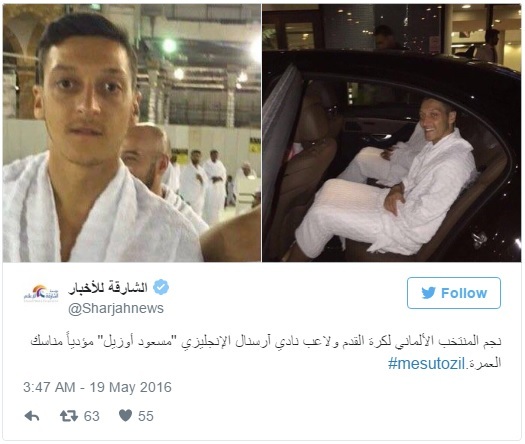 Ozil, 27, is one of the most popular and successful Muslim athletes in the world. Born in Germany into a family with Turkish roots, he was a standout for the German national team that won the 2014 FIFA World Cup. Ozil has been voted Germany’s Player of the Year four times, and is regarded as one of the best passers in the sport. Ozil prays in the locker room before every match. He has also been seen making du’a on the field during matches. His charitable acts, such as paying for the medical surgeries of groups of children in Brazil (the 2014 World Cup was in Brazil), have made headlines worldwide. Get your package booked within a time and feel free to discuss any constraints or issued regarding the journey.